The shades were created by physically manipulating mulberry fibers by punching, tearing, and reshaping by sewing. The textures of the surface alters the ways of illumination. Given each light is hand-painted and sculpted, the finished product may not be completely identical to the images presented here, for each creation is unique. 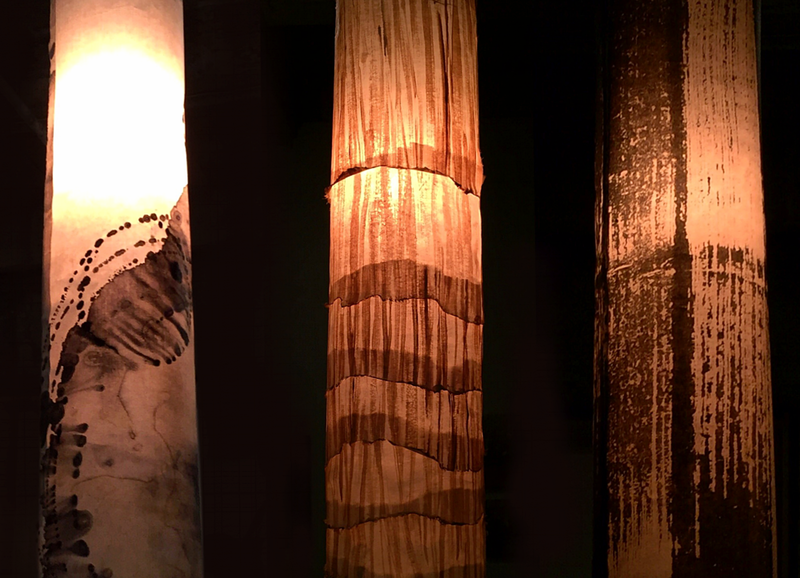 This first collection was conceived when I discovered light filtering through my abstract painting in sumi-ink on mulberry paper. The light revealed the dynamic grey shades of wet and dry brush strokes, and created a rebirth of the painting as a surrealistic object. The design features a modern flair with simple lines, yet provides the warmth of natural mulberry paper.